Way back in September, while poking around the displays at Interbike, it became clear that 26-inch cruisers were having a moment. More and more companies were adding 26-inch cruisers to their lineups and it was pretty cool to see more big wheel BMX bikes getting some time in the sun. One of the cooler 26″ cruisers on display was the Fairdale Taj Cruiser. Built tough but maintaining a retro vibe in its appearance, it has always been a real eye-turner. If you remember that post (or check it out here), you’ll remember we got the “inside scoop” that Fairdale had plans to offer it chrome. Well, it looks like Fairdale is doing just that. Upping the ante again, in the classic, old school looks department. 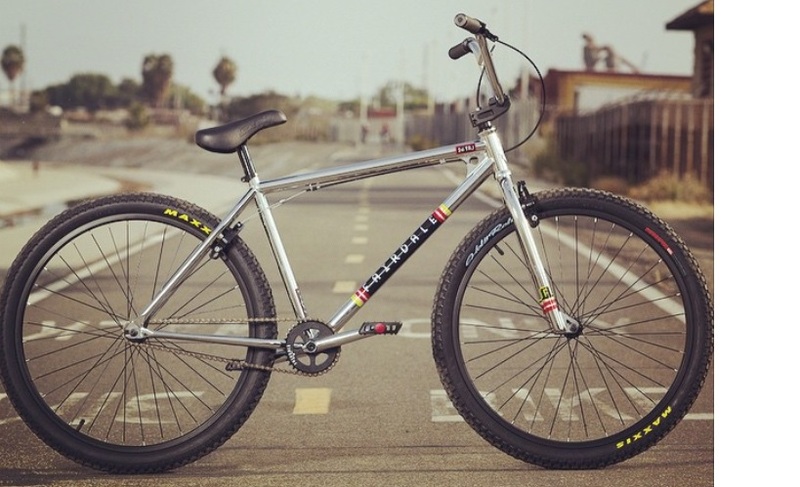 Yes, my friends…it looks like a classic chrome version of the Taj Cruiser is in the offing! Word on the street is that these will be arriving in the next couple weeks. Don’t sleep on these though, I have a feeling these are gonna go quick. Let’s not forget that Greg Mundy and his crew at Firemans Texas Cruzer in Austin have been offering USA made, 100% 4130 Cro-Mo steel, 26 BMX Cruisers for over 15 years now (in an amazing rainbow of colors). Additionally, ALL of Firemans BMX bikes are hand welded by one man, the legendary Sal Correa. Firemans is responsible for carrying the torch for 26 BMX when everyone in the industry considered the class to be dead, and never coming back. And, now the FTC 26 is the longest running American made BMX 26 cruiser in cycling history. Just ask anyone who owns one, they are a joy to ride. I’ve put over 20,000 miles on mine in the 14 years I’ve owned it, and I expect to be to put in the ground with it. Another important note here is that Firemans BMX now offers a 20, 22 (yes,22! ), 24, the classic steel 26, the new Big Al aluminum 26 and a 29. Firemans is not a company that will ever be showing their bikes at Interbike. Word of mouth has kept them alive all this time, and will continue to be the way people find out about them. They’re a small, family company that has forever stuck to the original goals of micro-batch, hand-crafted US production.